Dreaming of a job away from a desk? A role where personality and vivaciousness are encouraged? Does the idea of empowering students across Australia to look after their mental health excite you? Are you a go-getter, self-motivated, with a positive outlook on life? If your instant reaction was ‘hell yes’, then we have just the job for you. 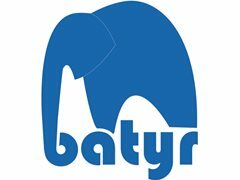 batyr is a for-purpose organisation focusing on preventative education in the area of youth mental health. We take speakers with lived experiences of mental ill health to high schools and universities across Australia to deliver programs that aim to smash the stigma around mental ill health and encourage young people to reach out for help when they need it. The key role of the Facilitator Coordinator is the delivery of all batyr programs in an engaging and educational way whilst ensuring a safe and supportive environment for the individuals sharing their story and the audiences involved. batyr programs focus on the engagement of young people and include discussions, team challenges, multimedia, lived experience speaking and video clips. This role requires someone who can engage and interact with a diverse range of young people in a dynamic and entertaining way, has a very strong ability to improvise and can confidently deliver sensitive material. The Facilitator Coordinator will also be responsible for the recruitment, training and staffing of Casual Program Facilitators across NSW and ACT. Additionally, they will support the Facilitation Manager in developing Facilitator training materials for programs across the organisation and other tasks as required . This role reports directly to the Facilitation Manager.